I received my copy of ‘The Garden Wanderer‘ the day before I set off on a trip heading north of Perth into country that is very different from the Margaret River area south of Perth, Western Australia, featured in the book. 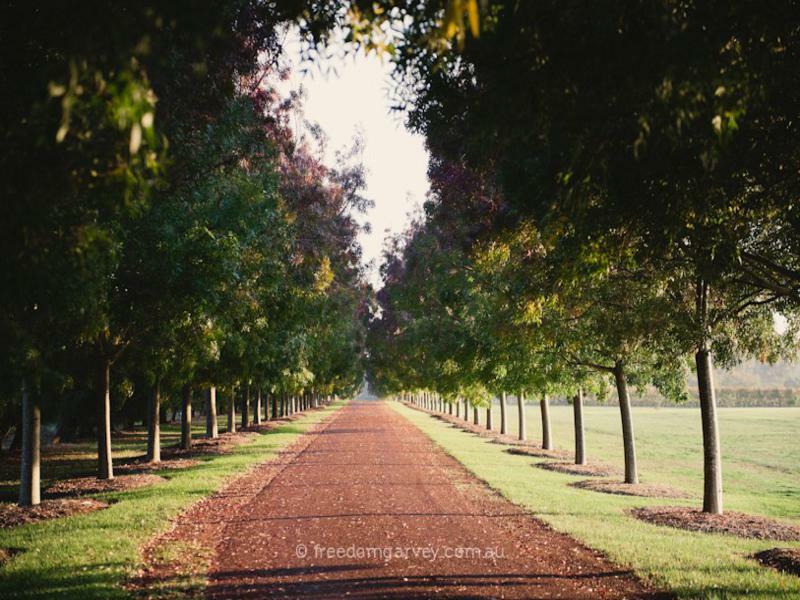 Up north, only truly determined gardeners take on the red soil and the hot, dry, seemingly endless summers to eke out a green oasis around their homesteads. I wondered how much a book set firmly in one place would resonate with gardeners elsewhere. The only way to find out was to read the book and, as I read it, I began to appreciate its relevance for gardeners anywhere. The title and cover photo allude to the fact that this isn’t a book specifically about gardens or gardening. 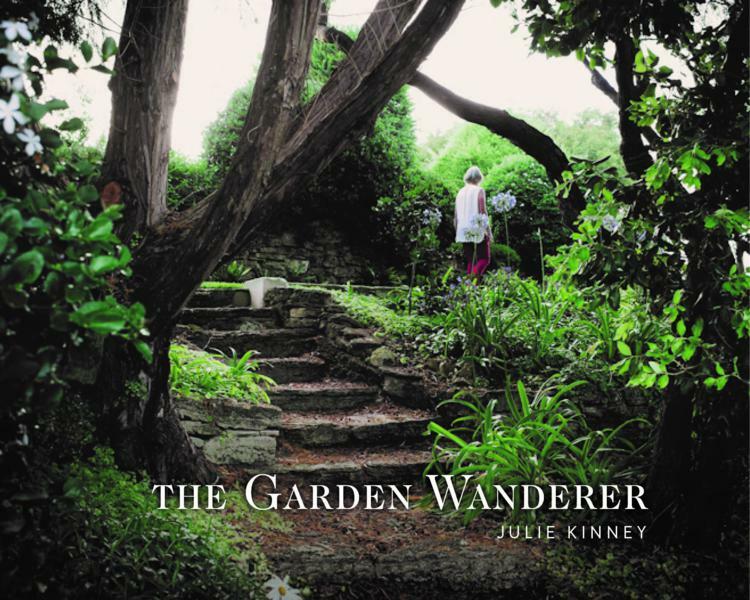 Generally gardening books don’t feature people on the cover but here we see the author, Julie Kinney, wandering through a garden. We discover that when she moved to the area about 20 years ago Julie was already a selector for the Australian Open Garden Scheme (as it was then known) and over the ensuing years she became familiar with many of the gardens in the region and also became friends with many of the garden creators. Morrella. Photo by Chris Gurney. As a selector and “local” she has wandered through many gardens but she has chosen 20 to feature in this book. 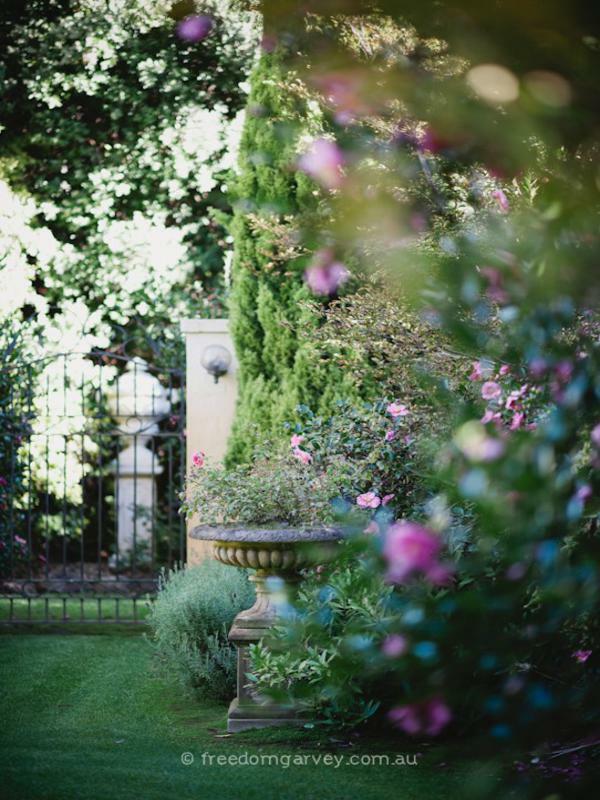 The majority of them fall into the category of “Country Gardens” as they are set on rural properties but each has an individual style so we see naturalistic, informal and formal styles planted with Australian native plants, succulents and cacti, Mediterranean plants and exotic favourites. 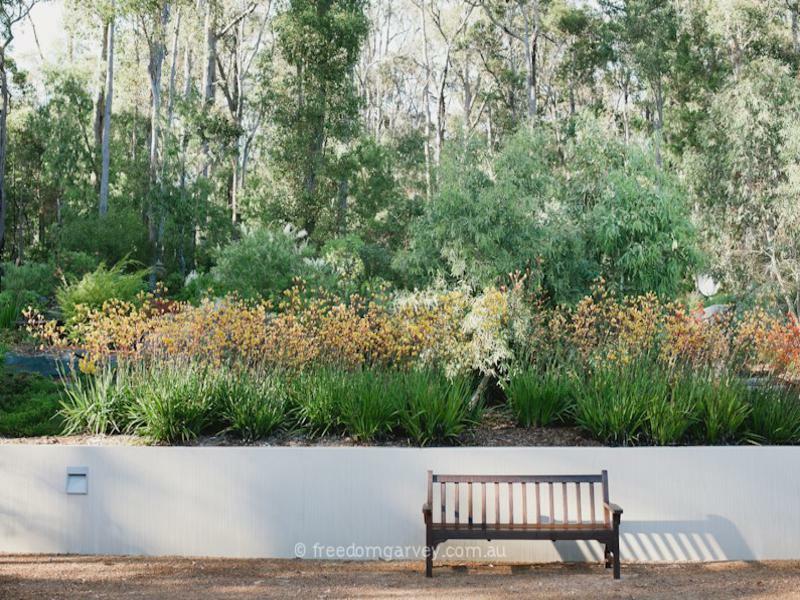 Some of the gardens have been created with minimal use of traditional gardening techniques but subtle intervention and manipulation of the existing bush has produced beautiful, tranquil environments. Downsouth. Photo by Freedom Garvey. Each garden is described in detail and we are also introduced to the owners of the gardens and we learn something about their motivation for creating the gardens. Of course the inspiration for every garden is different but one that appealed to me was the inspiration for the creator of “Downsouth”. When he visited the local hardware store in winter he saw some colourful Aloes in flower. 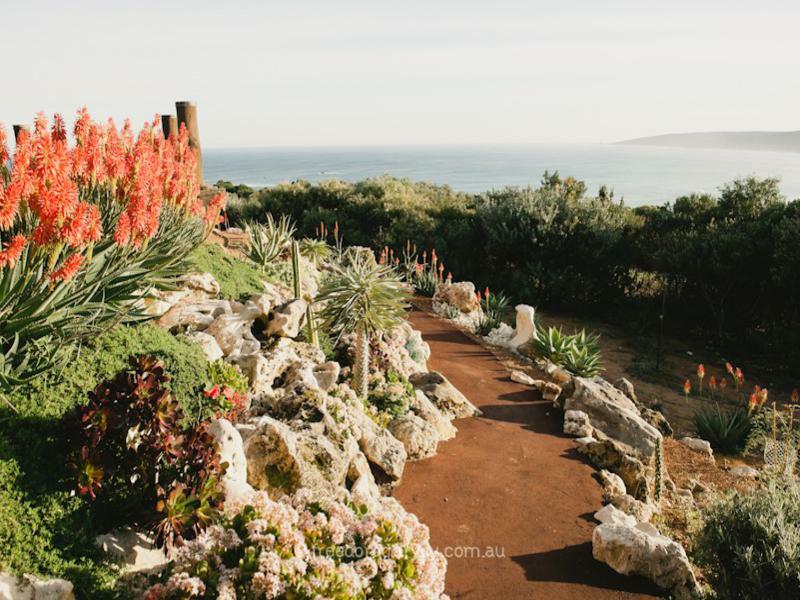 He promptly purchased the entire stock of Aloes and went on to create an impressive garden based on these predominantly African succulents. Fraser Gallop Garden. Photo by Freedom Garvey. 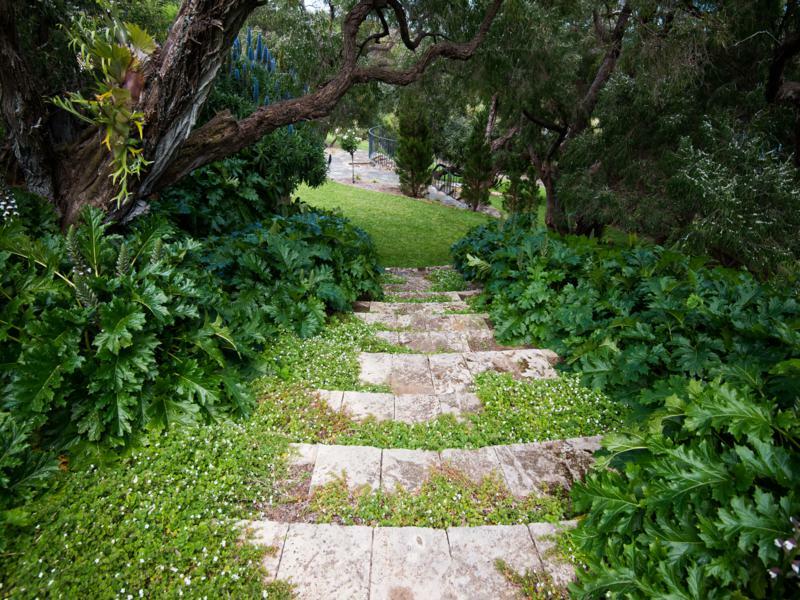 Along the way we also discover what constraints were overcome to allow the gardens to develop as they have. Providing adequate water, reducing fire risk and keeping the kangaroos and rabbits out were common considerations but we also learn of more specific problems. For example at “The Secret Garden” the possums were causing havoc to the climbing roses until a visitor to the garden suggested putting dog hair into stockings and hanging them in the affected bushes. This worked well for some time but eventually the possums realised that they were being tricked. Fortunately the roses had become well established in the meantime and were less vulnerable to being demolished by the little critters. The reward for creating a garden is also different for each gardener. For many the sheer joy of being able to garden is reward enough but many other reasons are revealed to us. Julie lovingly describes many plant varieties and highlights their special features. Successful plant combinations are mentioned, along with the occasional unsuccessful planting which had to be re-thought. Ingemar. Photo by Freedom Garvey. Entwined within the description of each garden is a potted history of the property’s development. The region as a whole has undergone huge changes since it was settled by Europeans in the 1850’s. Timber milling and dairy farming were the main source of income until a boom in viticulture in the 1980’s saw it become a premier wine producer and popular tourist destination. Many Perthites who wanted a different lifestyle or a place to escape to on weekends were attracted to the area. It was around this time that many, but not all, of the selected gardens were established. So, as we read about each garden we get a better understanding of the overall gardening history of the region and of each property. Rose Park. Photo Freedom Garvey. Although there are a number of delightful images in the book I wouldn’t describe it as a picture book. In other words you can’t flick through the book just looking at the pictures to get an appreciation of these gardens. Although many of the images are self-explanatory there were occasions when a caption describing the prominent tree or plants would have been appreciated. This book expresses the author’s intimate knowledge of the gardens, the people that made the gardens, the plants, the local environment and the history of the gardens to produce a full picture of each garden. This may sound as though it is very serious but in fact Julie describes the owners and their gardens in a relaxed natural style which is very easy to read. What shines through is Julie’s passion for plants and gardens. Wallcliffe. Photo by Chris Gurney. 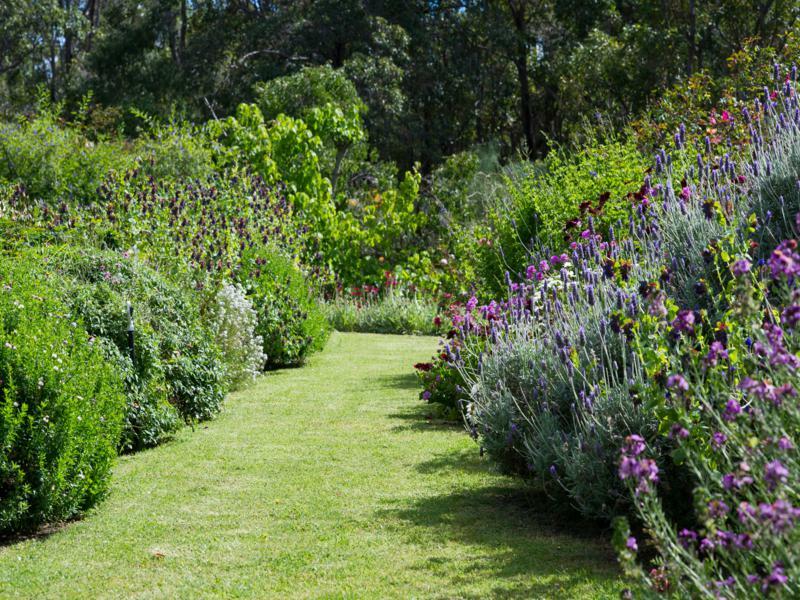 The Garden Wanderer would be invaluable for anyone intending to visit the Margaret River region and its gardens. I have visited a number of the gardens in the past and I now have a much better understanding and appreciation of the energy, enthusiasm and at times determination that was required to create and sustain these gardens and have a better knowledge of the their history and reason for being. As for readers and gardeners elsewhere I believe that in the shared anecdotes and stories they would find inspiration for developing their own gardens. True gardeners love to read about the triumphs of other gardeners and it is fascinating to discover how people in different places achieve this.